However this design has several plans on Outerzone which might be better to download and have printed at a copy shop. The Model Airplane News version seems better as it would print all on one sheet. Outerzone also has a slightly enlarged version -Flea Fli+10 - at 42 inch span. 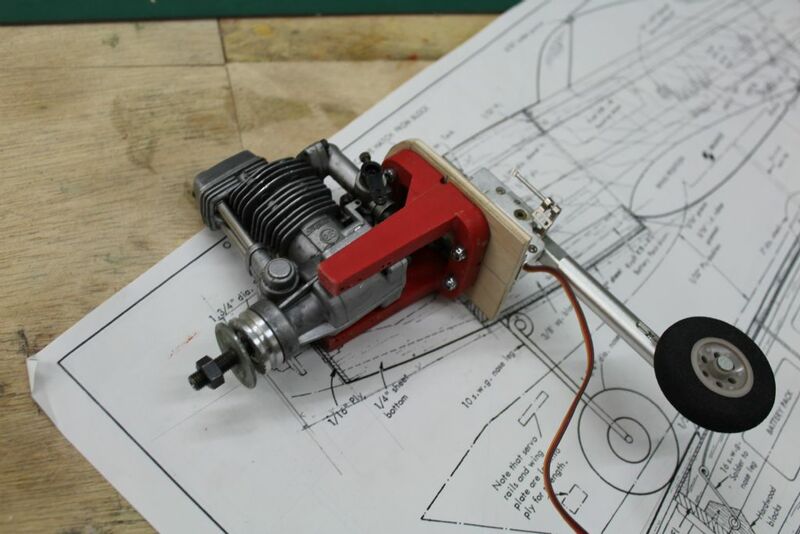 There is also a build blog from a while back here on Modelflying well worth seeing how Martyn did the tricky bits. For my taste the Flea Fli is too small at 39 inch span and I wonder if anybody else has considered scaling it up by say 33 percent to make a 52 inch span which would be easier to see. The original Kwik Fli 3 was 59 inch span but that's a bit too large for modest electric power so 52 inch would be worthwhile. 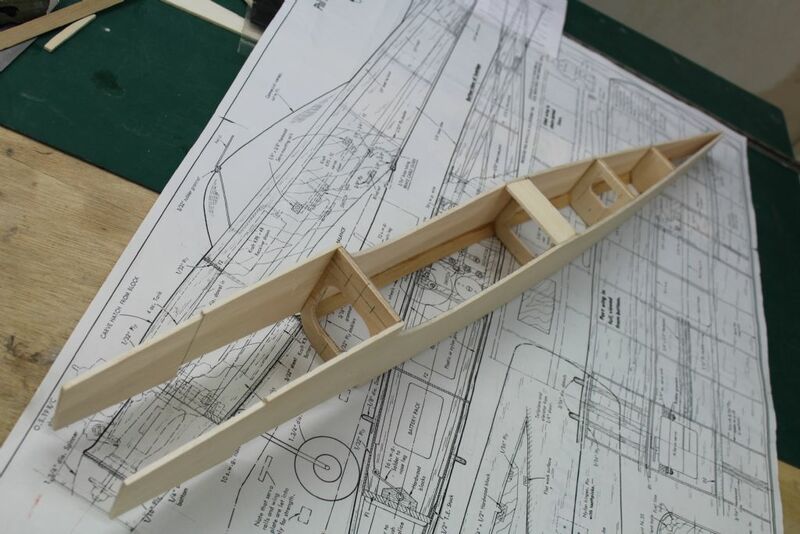 Increasing by a third would seem to use much the same thickness of balsa but probably the wing spars would have to go up to 1/4 by 3/16 and be spruce. Downloading the M.A.N. plan and printing at 133percent would seem the easist way to get a 52 inch span plan. Nobody else has commented yet so presumably this free plan didn't attract the forum members! I always liked Phil Kraft's Fli series of models. I had the (Graupner kit) Kwik Fli back in the early 80's, and I loved it. 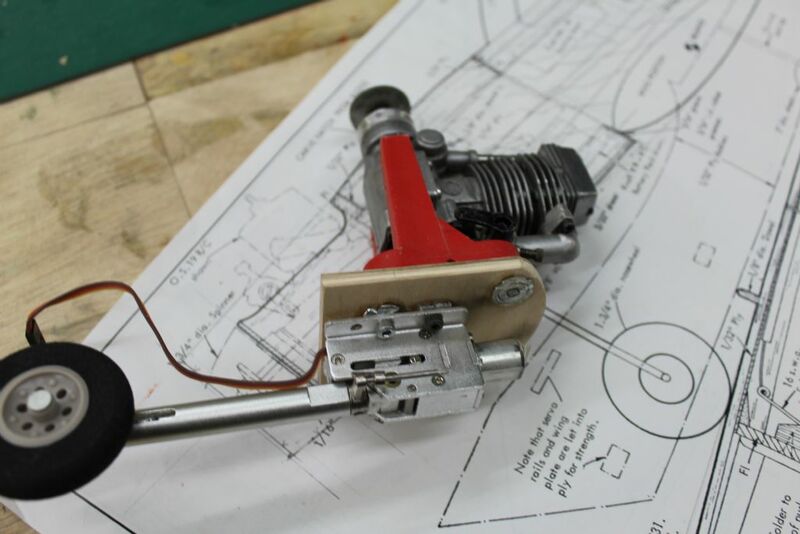 I have original free plan for the Flea Fli, and I always felt it might make a good subject for electric conversion, particularly now smaller receivers and servos are available. 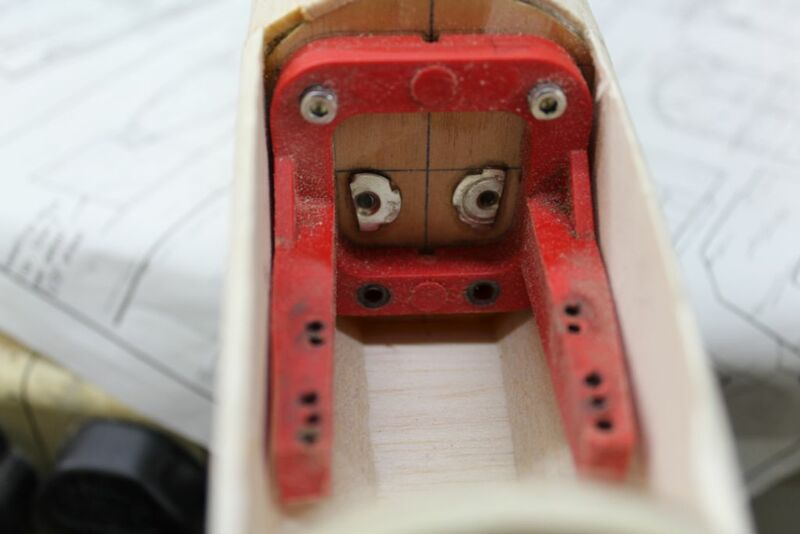 As mentiond in the latest mag article there is the potential to save several ounces in weight over the original model. That can only benefit flight performance. Bought the materials for it from SLEC at Weston Park, yesterday. I was given an early OS Max 20 engine from one of our senior club members a few months ago, so it will be a good opportunity to have some retro fun. 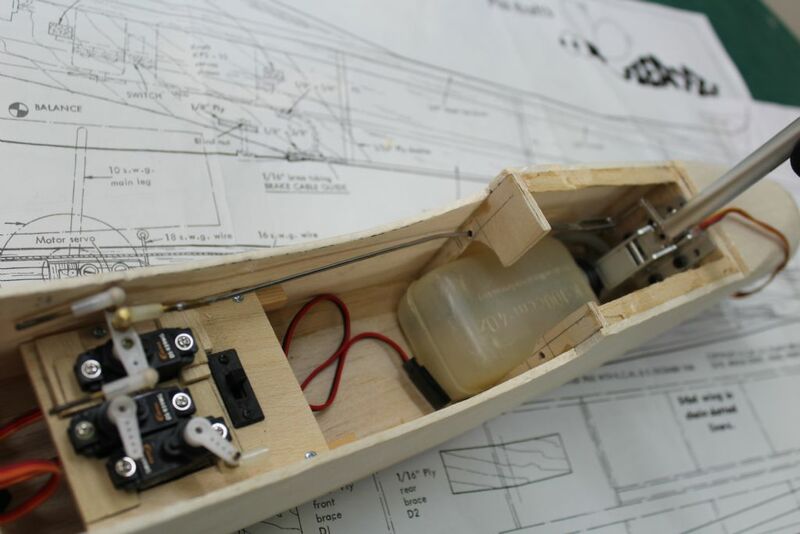 The speed at which I build models, it should be ready this time next year. I too thought that I was the only one building this since searching Flea Fly brought up nothing. The Martyn K. link could be useful. I remember the Bar Flea but not this one. My initial idea was to enlarge it by say 12.5 or 15% for an OS 25FX but decided against that. I have an OS 20FP and 26S available which are both exactly the same weight so plumped for the four stroke which meant lengthening the nose by 3/4". Now, me being me, I am further modernising it with retracts. Silly mistake. Getting the noseleg unit, a 4oz tank and that four stroke into the nose is no mean feat. The noseleg amplifier died on me so have had to order a new amp. plus a complete spare set from HK. (MCR type). Servos are Corona 939 and 239MG, LiFe 1100 pack via a 5V UBEC. Extra wood, wheels, spinner (now 2" plus some sort of canopy will hopefully be purchased at W&W. Some initial pics to follow as soon as I can download them to the site. An awful lot of head scratching was required for this and the noseleg steering still needs some work. I firmly blame thatmanatgarritys for this since he insists on publishing retro plans which interest me. Martin that sounds interesting if you can put it all into a 39 inch model. Let's see some photos of how you did it. Actually if you had spelt it " Fli " instead of Fly you would have found it ......... same with Kwik Fli it often needs the exact spelling to find the plans. And I think it's Bar Fli not Flea. These aeromodelling sites don't give the nearest item if the spelling is not exact! https://www.modelflying.co.uk/forums/postings.asp?th=121322 With this one At 39" I'm tempted to squeeze in an all sheet version when I finish my current build. Feels like 150 to 200w electric would be plenty of motive power at this size. That`s the ground down version of the original mount to make it fit. As you see, it has been recycled a few times. Doing this in the original orange/black scheme. The HK `jacinth` has arrived and is orange to the rest of us. The canopy will be a problem getting hold of. Ideas anyone? I can get a Taurus one but at 18 quid no thanks. Balsa plug and large Coke bottle Martin? Failing that I'd be on the look out for something like a Mustang or perhaps even a Sabre jet canopy at the right size. Even a slightly large one could have material carefully removed from it's lower edge until it was around the size you needed. A bit of a fiddle, but worth it if it gets you there......... Billkits do a Sabre although I can't recall what size it is. Or Martin, if you could live with a non transparent canopy, then blue foam painted silver? A couple of coats of Poly C to seal it first perhaps? Have done the bottle canopies before but you cannot make one that long from one of those. My efforts at vac. moulding are on some other thread. Since I need a similar one for my Peacemaker I may send a plug to a professional. Vortex Vacform do a range of bubble canopies for about 8 to 10 pounds. Also scale items & pilots, dummy radial engines etc. But try Wings & Wheels next weekend if you are going - there must be someone selling suitable items. Vortex Vacform do a range of bubble canopies for about 8 to 10 pounds. Also scale canopies,& pilots, spats, dummy radial engines etc. Not a Flea I know, but may be of use/interest. Since it was a tribute, I was more interested it getting it to look as close as possible to the original. The canopy came from Vortex Vacforms as did Martyn's, though I've since built a simple vacformer. The plan shows a longer, sleeker canopy and the photos of Phil Krafts models also seem to have a long canopy. It's a matter of taste of course but to be like the original it would seem that somewhat longer than Vortex CN44 might be needed. But width might be the crucial factor here.